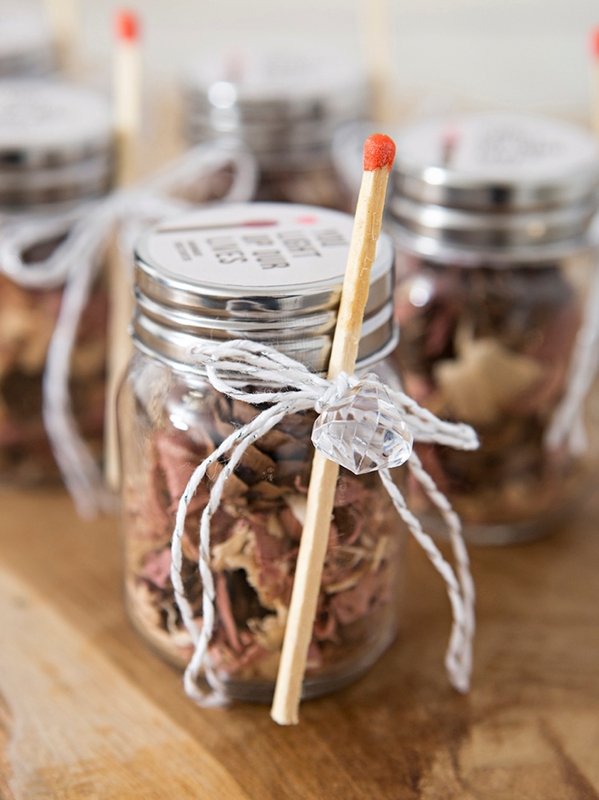 OMG, These DIY Fire Starter Wedding Favor Jars Are The Cutest! Favor Week: this is one of my favorite weeks of the entire year! 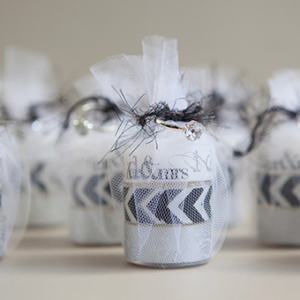 Years ago during holiday time I realized that non-regular readers were visiting the website to make our wedding favors as small holiday gifts instead – brilliant! 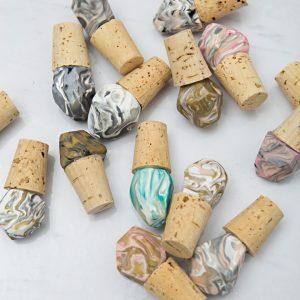 So for the past three years, I’ve been sharing 5 favors during the week after Thanksgiving, that double as the perfect handmade holiday gifts! 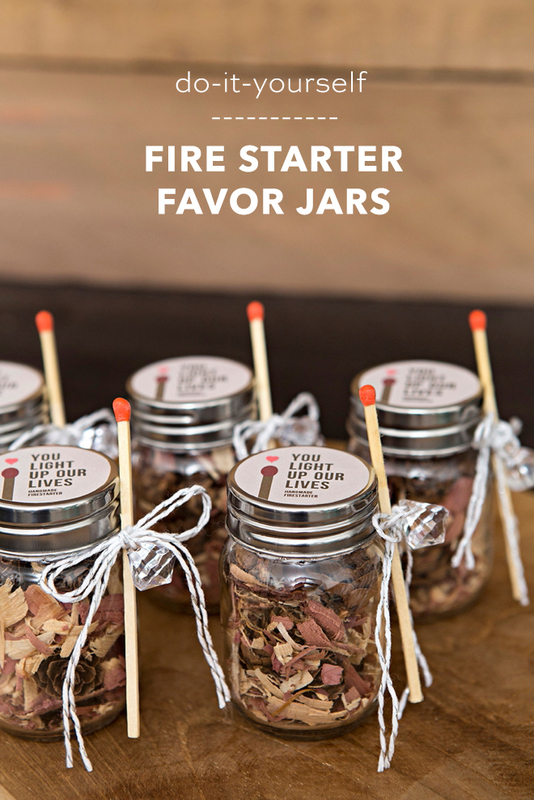 First up, darling little Fire Starter’s in a jar! 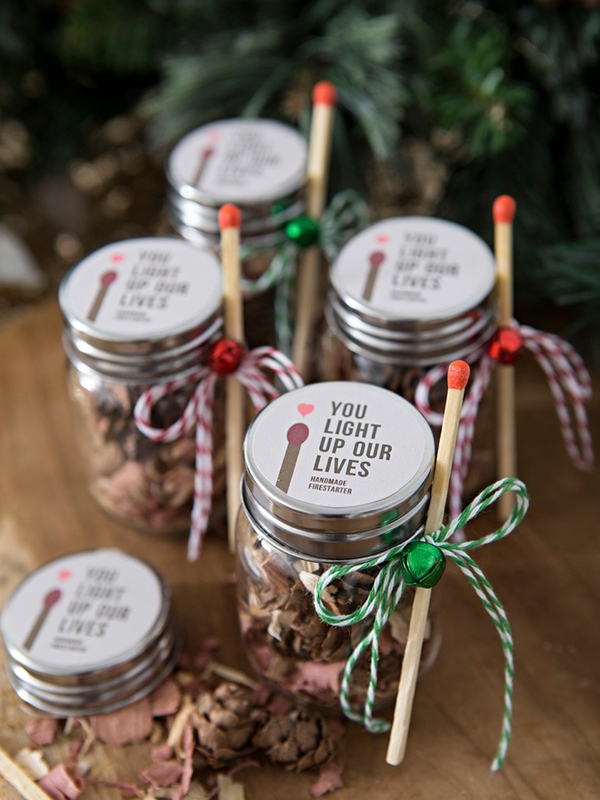 Simply add a few woodsy-flammable items to little favor jars, drop in a bit of your favorite candle scent and top with our exclusive fire starter labels that you can purchase in our shop for only $.99! 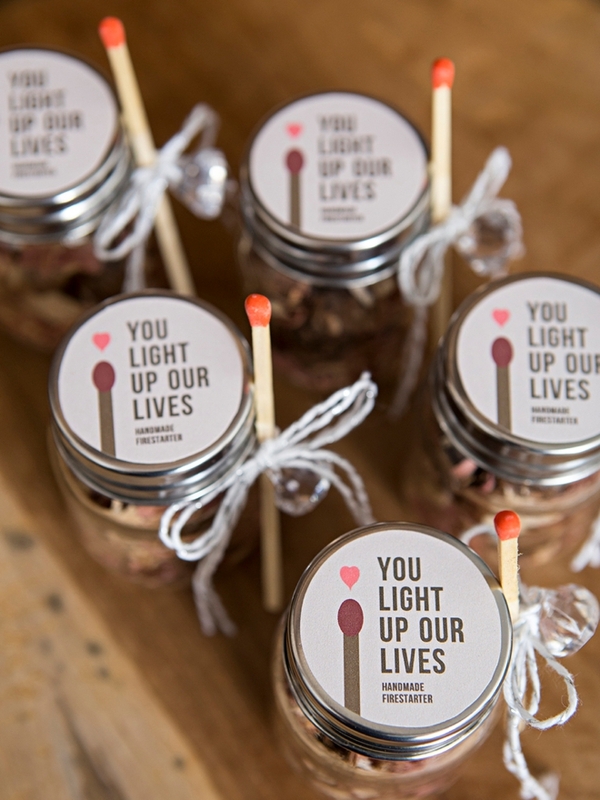 A terrific favor for your fall or winter wedding and a wonderful holiday gift for anyone who has a fireplace! These cuties easily do double duty. 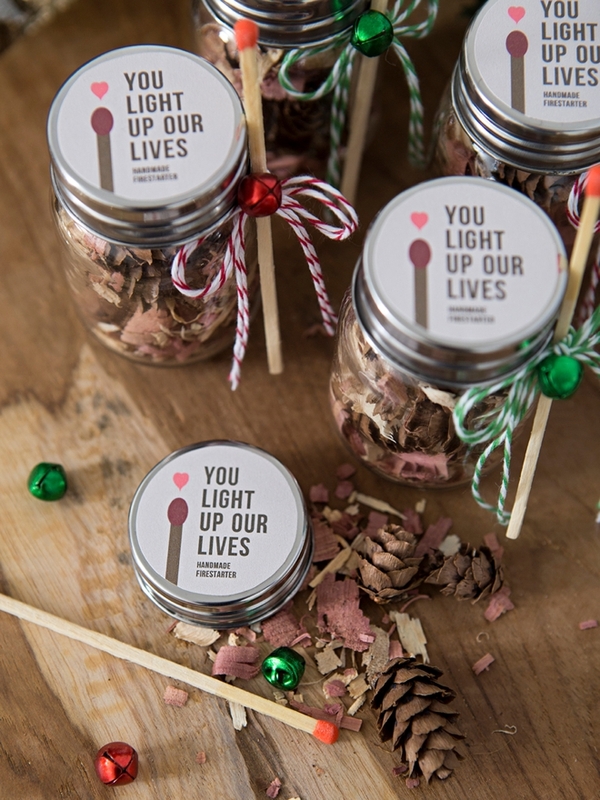 They’re the perfect, inexpensive handmade favors for your fall or winter wedding… and they’d be a fabulous little gift for anyone this holiday season who has a fireplace. Fires are ultra romantic and peaceful… a great thing to encourage this time of year! 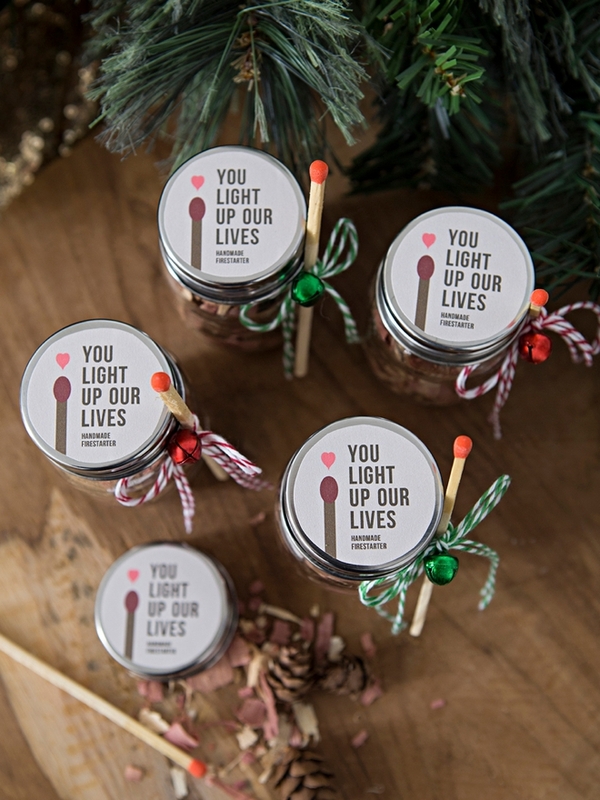 Our exclusive, You Light Up Our Lives Fire Starter Favor Labels, only $.99 for the printable design! 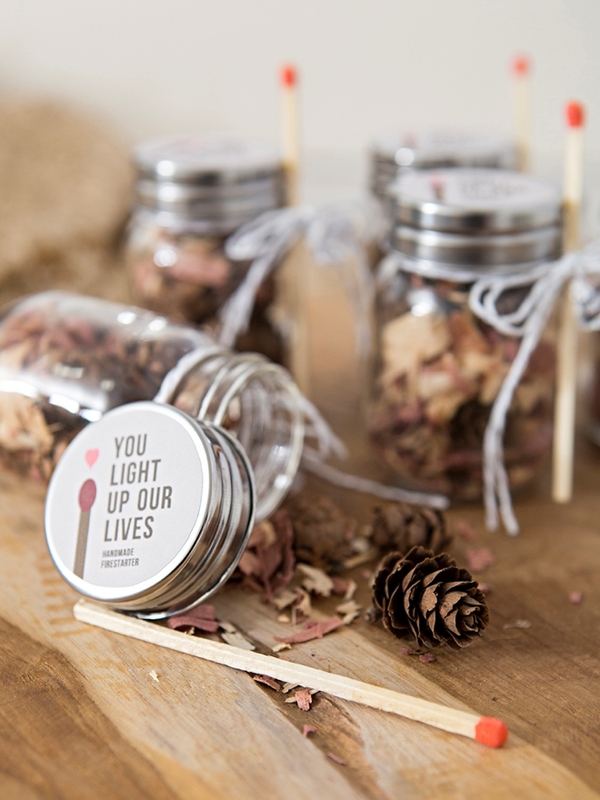 Using your home printer, print our exclusive “You Light Up Our Lives” labels onto 8.5″ x 11″ white sticker paper. 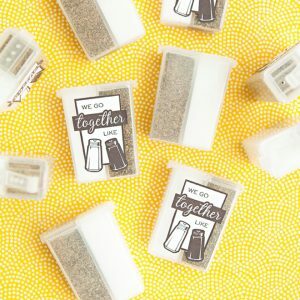 Sticker paper is an entire sticker sheet, so unlike buying specific labels that might not print perfectly on the cut lines – you make the cut and the sticker whatever shape you want! Cut out each label. 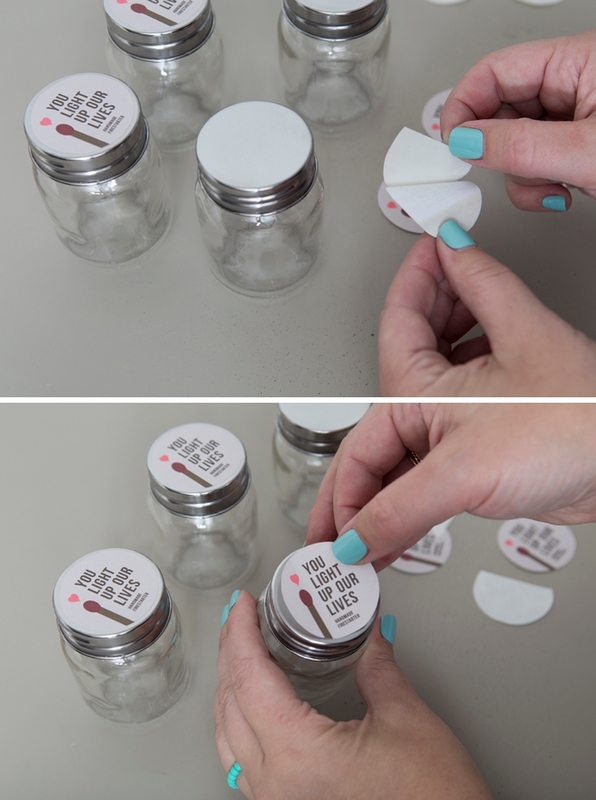 Simply peel the backing off the label and add to the top of the favor jars. 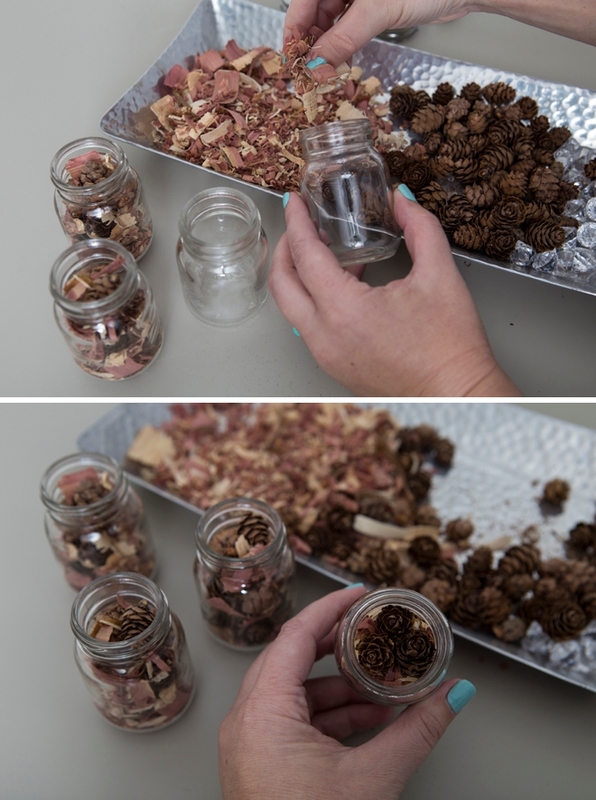 Fill your jars with cedar shavings and mini pinecones, both very flammable items. You could also add smaller bits of sawdust, maybe cinnamon sticks, crumpled up dry leaves… anything that will quickly catch fire. 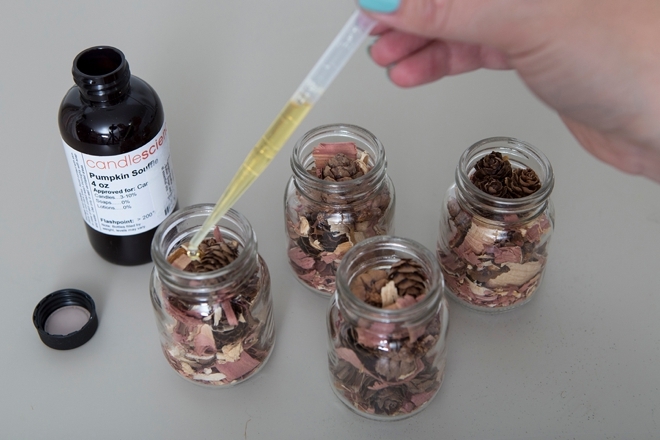 If you would like, add a few drops of your favorite candle fragrance oil to make your jars smell fabulous! I’m using Pumpkin Soufflé for these… but CandleScience on Amazon has lots of other terrific scents! 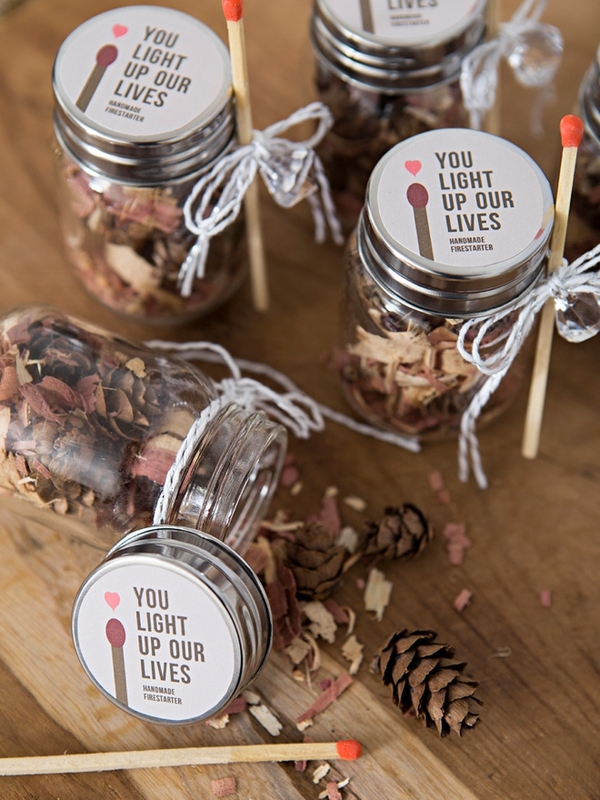 The finishing touch for these jars is a long burn match and charm, tied on with a bit of twine! If you’ve ever seen Naked and Afraid on Discovery Channel (one of my favs!) you know you need dry tinder to start a fire. 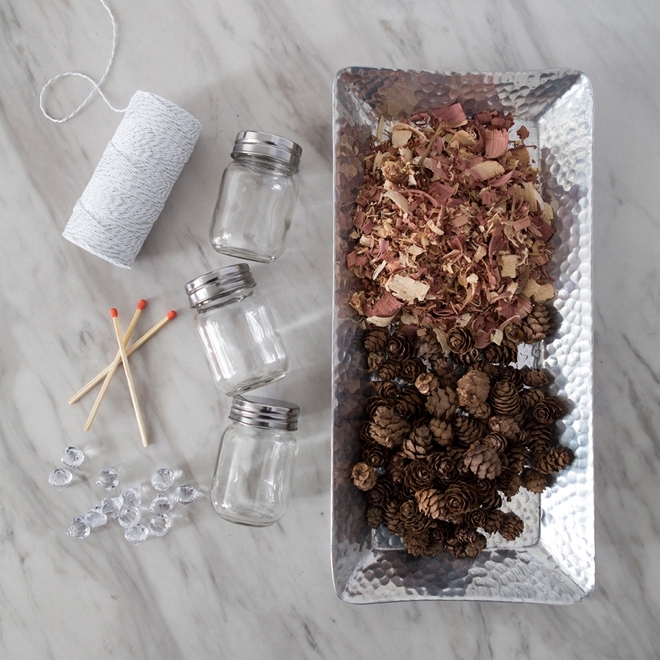 Simply pour out the contents of the jar into a pile at the base of your fire and light to get those flames a burnin’!